Capturing the freshness of cherry and magnolia blossom combined with crisp watery notes of apple and jasmine. 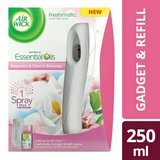 Air Wick Essential Oils contain natural essences extracted from fruits, flowers and plants to help inspire the mood you want to create in you home. 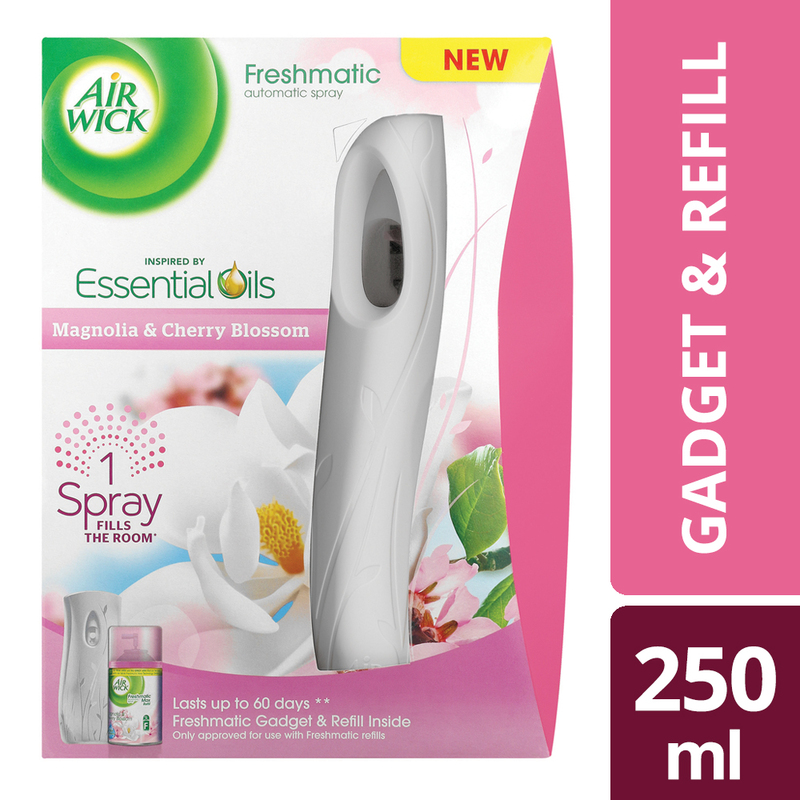 Air Wick Freshmatic brightens up your home by automatically releasing burst of fragrance that fills the room. It comes with 3 fragrance levels so that you can set it to the intensity that you like. With its new slim design, you can place it anywhere in your home.